Stage 5 is the peak level for the naturally aspirated S52 (with the S52 intake manifold). The Stage 5 is intended for track cars only because it does away with the factory catalytic converters and includes software engineered to ignore the post-cat O2 sensors. If you're racing and want to maximize your top end power while still maintaining bottom-end torque with the S52 manifold, this is your ultimate kit. This is the Package that includes nearly everything: intake, HFM, injectors, cams, headers, track pipe, and software. The track pipe that we use replaces the factory catalytic converter section. 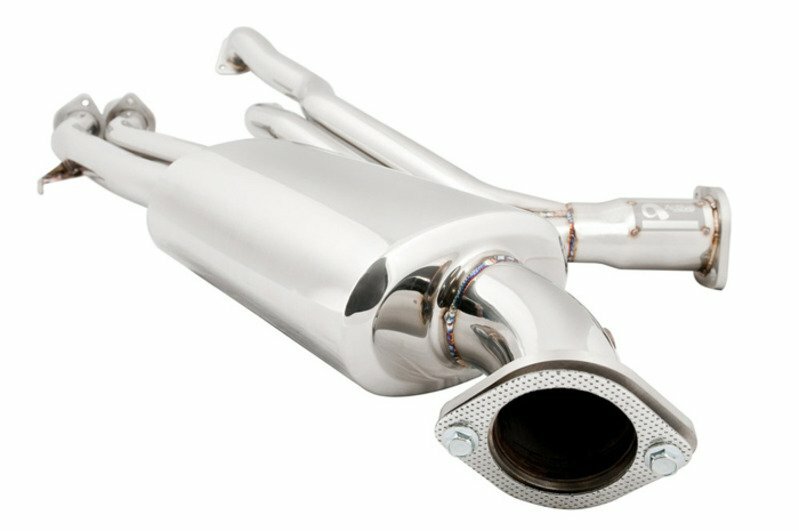 It bolts onto the TMS Shorty headers and to any 'cat-back' muffler you are using (Borla, Corsa, etc). We see a big power improvement with this Track Pipe, especially in the 5000-6900 RPM range. The Track Pipe exhaust section removes the catalytic converters so the car will not meet federal emissions standards. 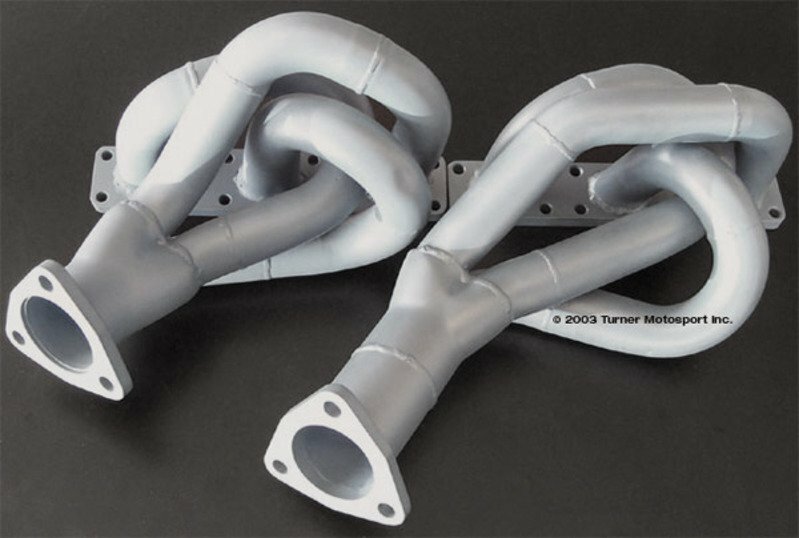 This Package and the track-only parts are only sold with an emissions waiver that can be downloaded here. 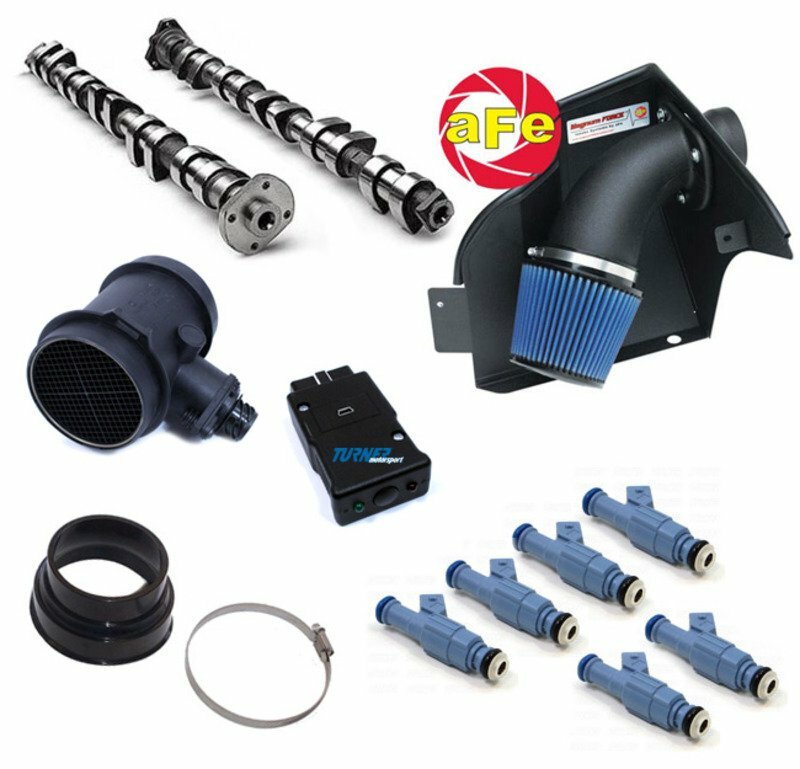 The power gains with this Package are huge but it is intended only for off-road and track/race cars.